Thank goodness it’s Friday!! It has been a long week! I am excited to share with you some of the highlights of my week. Welcome to Fairyville signs & playbill. Sunday afternoon Miss Neenee had a friend over after church. Thank goodness we are well versed in the arts around our house. :) I enjoyed a 30 minute play called, “Welcome to Fairyville” starring, written, directed, chorographed, & costume designed by Miss Neenee & her friend. They dressed as fairies, in tutus, danced, sang & entertained. This was the ticket I had to have to “get in” the play. These are some signs that were taped around the room. 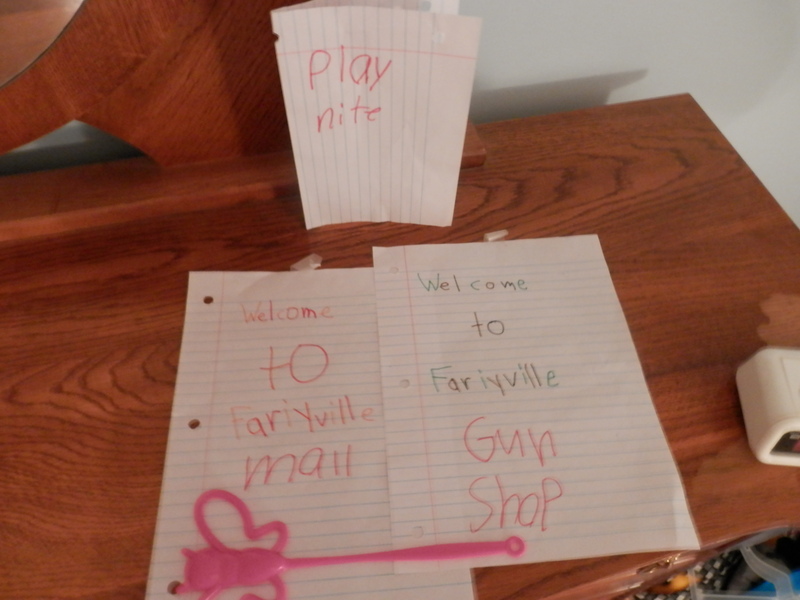 What fairy town would not be complete without a mall & a gun shop?? 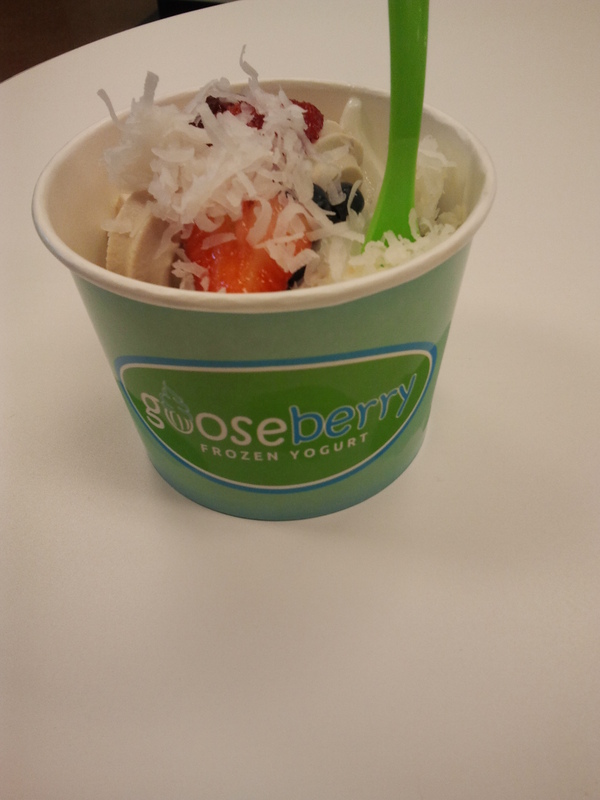 Had a little Gooseberry yogurt with Miss Neenee. It. was. amazing. I can’t tell you how much fun it is to try to guess which flavor I am eating. (Because I put some of all of it in my cup.) What did we ever do without a do it yourself yogurt shop? Got to eat some good food at the drug store. 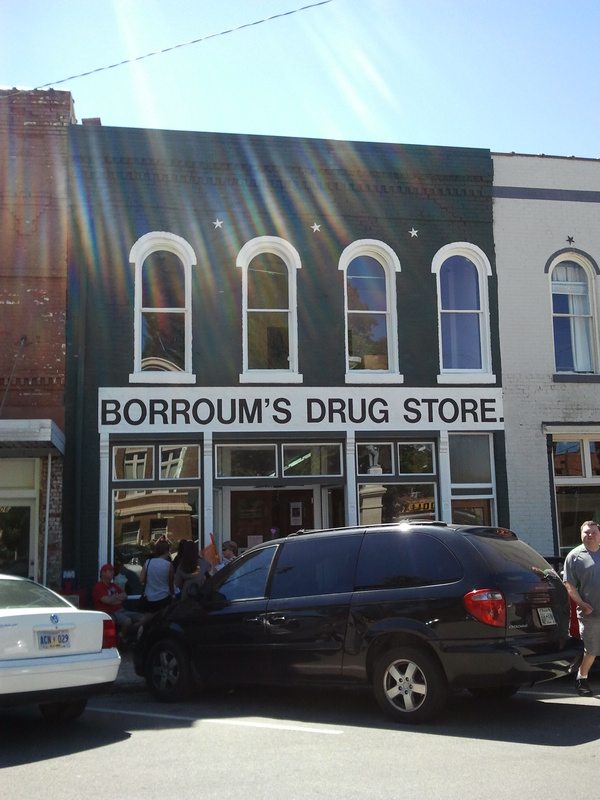 If you are saying , “Who eats at a drug store? ?” Has never had a cheeseburger from this place. All the fountain drinks & milkshakes are made right in front of you. Shut the front door tastiness. 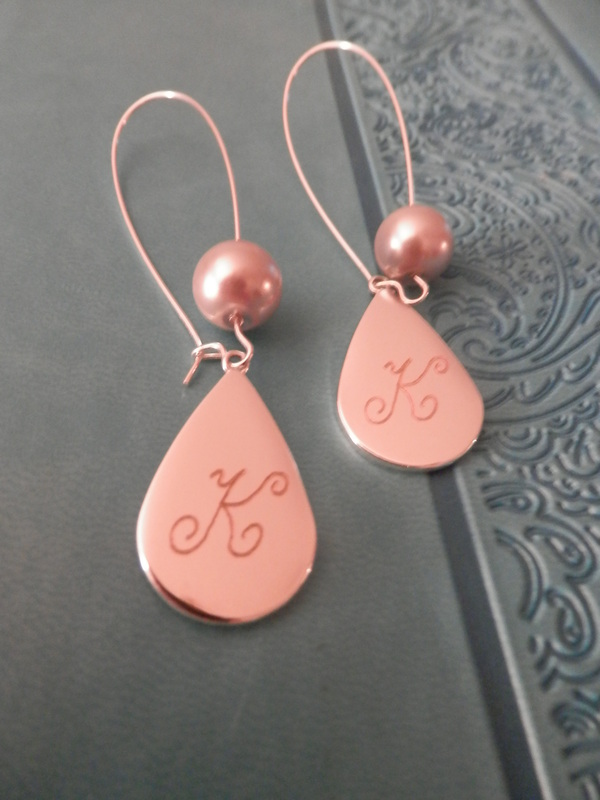 My new initial earrings- in love. So, when we were paying our check at Borroum’s, the young lady taking my money had on some lovely earrings similar to these. I commented on how cute they looked on her & of course asked where she got them. Come to find out, they came from a store, just down the street. I went by there & these jumped out at me. I know the girls at work are sick of seeing them this week. It’s just so hard to take them off…. Last week someone commented on the taco soup I made. 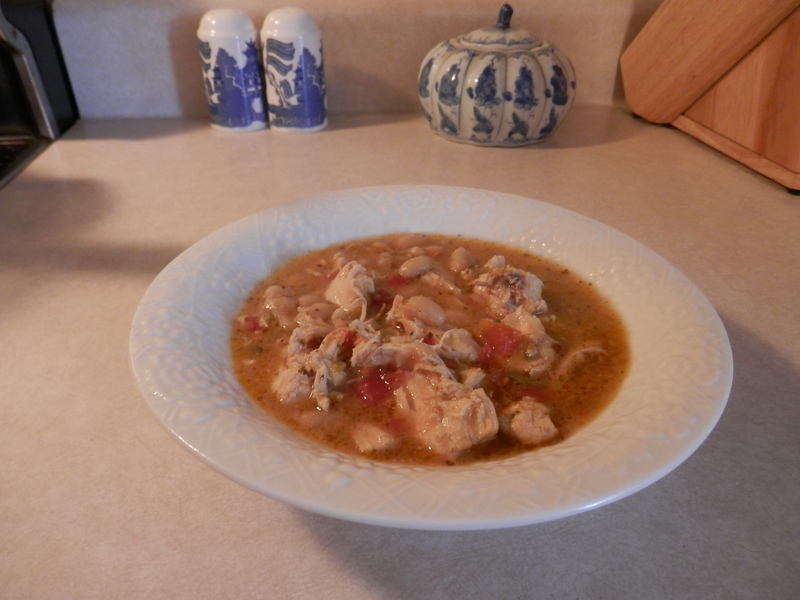 They said they loved chicken chili. I couldn’t get it out of my head. I had to make some & it was delish! Thank y’all for stopping by & sharing Friday with me! I hope you all had a great week. Until next time…. I have to go because I should be washing clothes! LOVE fairyville! And super love those earrings!! Happy Friday!